Whether you drive a hybrid, a Honda, or a hot rod, Premium Sound and Security is your answer for car electronics, window tinting, and more. Combining decades of experience in vehicle customization with a huge selection of car DVD players, car audio components, and even navigation systems and remote starters, we have what it takes to help you customize your car or truck for the driving experience you've always wanted. If you're ready to take your ride to the next level, you've come to the right place! With more than 20 years of experience in the car audio business, owner Mike Cantley has the expertise, dedication, and passion for mobile electronics you can count on for the best service and quality. Premium Sound and Security opened its doors in 1997, and we've been providing drivers in northern Illinois and southern Wisconsin with superior car electronics ever since. From name-brand products to expert installation workmanship to friendly customer service, our team is here to take great care of you and your car or truck. When it comes to your new car alarm or car DVD player, you can rely on Premium Sound and Security's experience and professionals to bring you only the best! 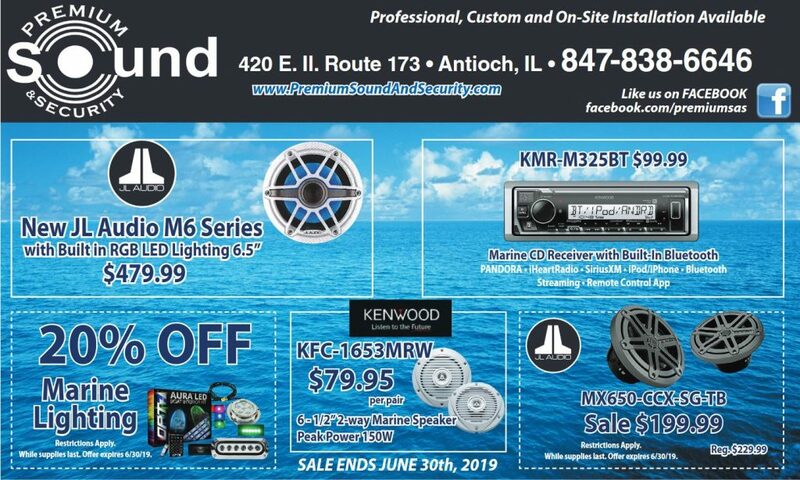 Located in Antioch, IL, Premium Sound and Security provides car electronics from navigation systems to remote starters for drivers in both Illinois and Wisconsin. Our customers come from all around, including Kenosha, Racine, and Lake Geneva, WI, and Waukegan, Gurnee, McHenry, Fox Lake, Harvard, Lake Zurich, and Lake Forest, IL. We'll even come to you if you're too far away to conveniently stop by our car audio video shop! We travel up to 100 miles to provide you with the best car electronics around, and we've served customers as far away as Milwaukee, Chicago, and even Rockford, IL. 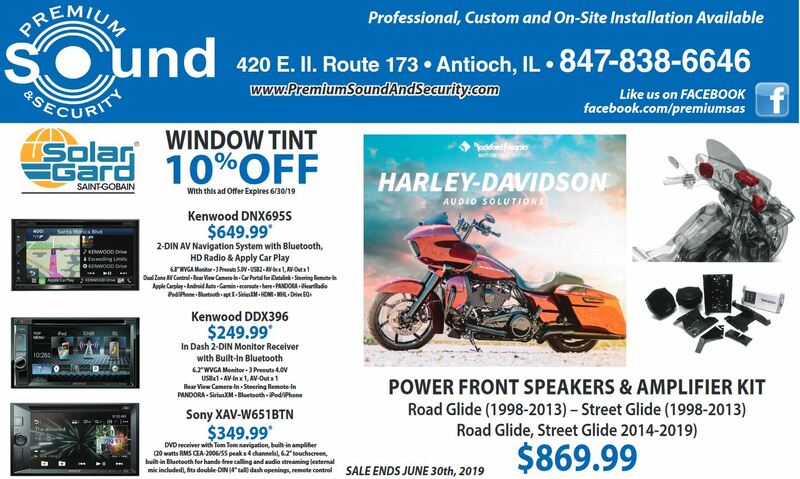 Near and far, Premium Sound and Security is the shop you can trust for quality workmanship, customer service, and awesome mobile electronics. Our showroom is stocked with all of the latest options in iPod integration, vehicle security, mobile video, and more, and our experienced staff can help you find the right products for your mobile electronics installation or upgrade. With competitive prices, great selection, and professionalism you can trust, Premium Sound and Security is committed to making your car audio video sales and installation experience hassle-free. At Premium Sound and Security, we know you have many choices when it comes to car audio shops, and we want to thank you for choosing us! We appreciate your business, and our team of professional mobile electronics experts is ready to go above and beyond to make sure you're fully satisfied with your new car alarm, mobile video system, or other device. For more information on how we can make all of your car customization dreams come true, call or e-mail us today! For your safety, security, and quality assurance, Premium Sound and Security is fully insured. We're also members of the Mobile Enhancement Retailers Association (MERA) and the 12-Volt Insider Forum.